UK readers might remember the late 1965 number 19 UK hit version by The Four Pennies (those of "Juliet" fame). 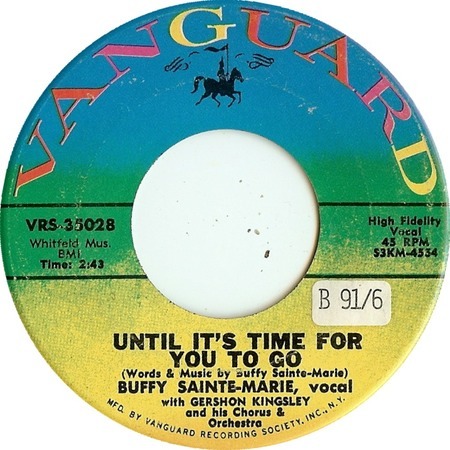 Buffy's own version was released as a single in June 1965 on Vanguard 35028, but with little success. Buffy Sainte-Marie was a Canadian of Cree Indian extraction, though she was brought up by foster parents in Massachusetts USA. After leaving university with a PHD in Fine Arts, she became part of the Greenwich Village folk scene and signed with Vanguard Records.